IMT’s Advanced Consulting and Engineering teams are experts at architecting both Backup and Archive Solutions. We work with our clients to review their technology requirements to select only best of breed Tape Library and Software solutions. We help our clients select the correct Tape solutions based on their budgetary needs from either LTO or Proprietary Media options. IMT Professional Services are experts at deploying these Tape systems into your existing storage and networking environments. 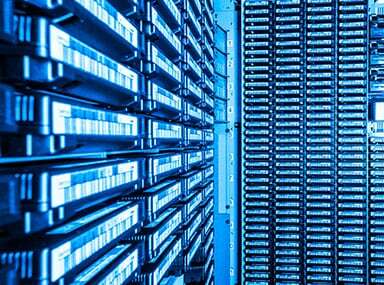 Media companies produce massive amounts of data. Protecting and preserving those assets is a business imperative. Filling high performance storage systems with copies of data or with assets that are infrequently accessed does not make business sense. 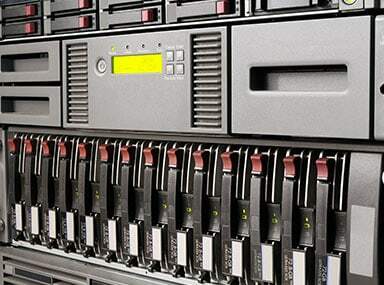 Data tape storage is a secure and economic way to backup and archive valuable assets. IMT specializes in designing intelligent and secure Tape Archives. We help our customers select the correct Archive or HSM (Hierarchical Storage Management) Software to implement policy driven archiving from both SAN and NAS solutions. IMT uses a reference architecture approach when architecting API integrated solutions combining best of breed Media Asset Management systems with Archive and HSM software to deploy intelligent single site and multi-site solutions for our customers. Tape archive solutions can be a great addition for your complete integrated media storage platform. IMT’s tape archiving solutions allow massive scalability and offer best-in-class management and data security that reduces cost, space, and power consumption of primary disk solutions.